Ka‘ena Point, the westernmost point on O‘ahu, is the site of one of the last intact dune ecosystems in the main Hawaiian Islands. Here, beyond the end of the busy roads of O‘ahu, is an area known since ancient times as leina a ka‘uhane, the leaping place of souls, where the spirits of the recently dead could be reunited with their ancestors. Today, you can walk there among the living: Hawaiian plants and animals that have made the rugged ancient shoreline their home for thousands of years. The volcano that created the Wai‘anae Mountain Range last erupted over three million years ago. On the narrow western point, the hard volcanic rock shows the mark of a millennia of pounding waves – the carved sea cliffs of Mokule‘ia that rises above Ka‘ena. In the warm surrounding ocean waters, reefs were gradually built up by the countless coral animals, adding to their limestone skeletons, and replacing the parts broken by the thundering surf of Pacific winter storms. The waves churned the broken reef into sand, and created the pale dunes of Ka‘ena. Dunes such as these were once found on the main Hawaiian Islands, and on them developed ecosystems unique in the world. The plants that found their way from other continents and islands to Hawai‘i did so only very rarely – scientists estimate that one successful colonization occurred every 100,000 years. Those fortunate colonizers found a land of warm, mild climate and many ecological opportunities, and they gave rise to thousands of species. The intense sunlight, low rainfall, strong winds, and salt spray created a challenging environment at Ka‘ena. Yet, many plants and animals were able to thrive here. Unfortunately, these dunes and the native species that live on them have almost entirely been lost to 1500 years of change. This is how long humans have been in the islands. Intact coasts are only found at remote sites, and these last glimpses of the ancient past of Hawai‘i are precious. 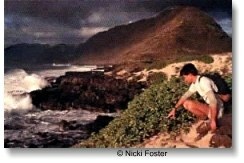 It was in recognition of this that Ka‘ena Point Natural Area Reserve was established in 1983. 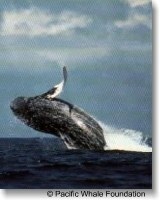 During the winter breeding season, humpback whales will frequent the waters surrounding the point. 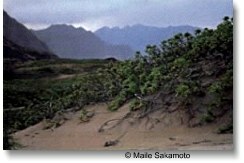 To learn about the Ka‘ena Point Restoration project please click here.